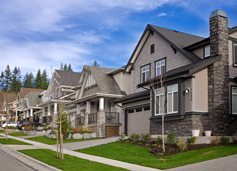 Morningstar has established themselves as one of the premier development builders on Burke Mountain - consistently producing high-quality homes with superb value. Partington is yet another high-end development inspired by Morningstar's prior Burke Mountain projects like Somerton, Kingston, Avondale and Belmont. Partington will build on the successes of these past developments to deliver luxurious quality homes nestled in the natural beauty of Burke Mountain. These 3 and 4-bedroom open-concept luxury homes are built on large lots at one of the highest development lots on Burke Mountain – offering spectacular views of the of valley below. Phase II of Partington by Morningstar Homes is now SOLD OUT. Partington - Cypress Floorplan – 4 bedroom, 3,782 sqft. Partington - Balsam Floorplan – 3 bedroom, 3,818 sqft. Partington - Cedar Floorplan – 4 bedroom, 3,828 sqft.